Bigrock is among popular Indian web hosting providers and domain registrars. They provide cloud hosting, shared hosting, wordpress hosting, reseller hosting, dedicated servers and much more other services. Their servers are not that costly and if you plan to run a website, you can consider their hosting. 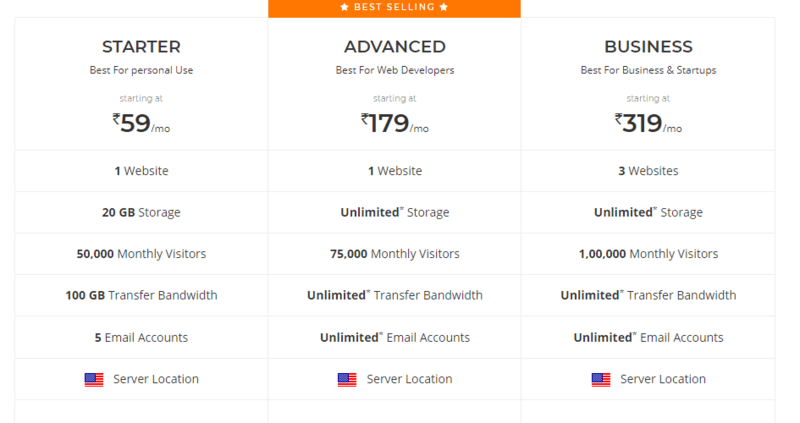 These days Bigrock India is running a big sale where you can grab their hosting at a great discount of 45% off. That is a limited time deal for two days from 12-06-2018 to 13-06-2018. Once you use this code, they will automatically deduct 45% of amount from the total bill. As this is a limited time deal and if you are interested in grabbing it, you need to be fast. Share this deal with your friends so that those who need it can take maximum benefit of it. Subscribe to our Blog for receiving updates about more such deals and discounts for Bloggers and Internet professionals.